Cow Town would not exist without the support of our many generous sponsors. As a thanks, we are going to start posting reviews of some of the products we use to get the word out and help consumers make educated decisions when making their next purchase. I finally got my Ritchey BreakAway TI Cross frame built up the way it should have been in the first place and I thought it was time to post a thorough review. Anybody who knows me, knows I am a Titanium freak and I love cyclocross. So when I considered getting a travel bike to take with me when I fly, I knew I was getting a Ritchey BreakAway from my team sponsor Ritchey and I knew it was going to be the TI Cross model. I have had this bike for a few years now and have put quite a few miles on it. It has flown to Rapid City, SD and St. Louis, MO several times with no issues or oversize baggage charges. 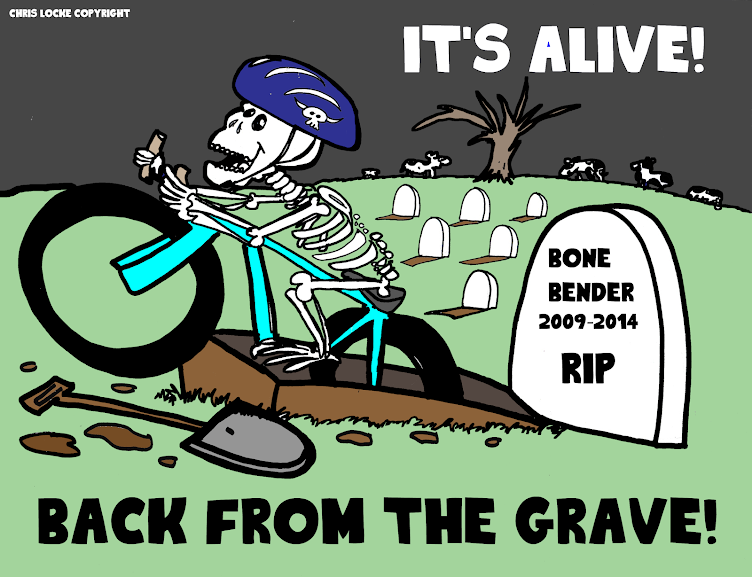 Tom Ritchey really outdid himself with the BreakAway design. It is so simple that it is genius. The seatpost is the connecting rod for the first joint and a special fitting with flared ends is joined by a clamp on the downtube for the second split in the frame. You can check out the Ritchey site for a more detailed explanation and a great video of how to pack/unpack and assemble the bike. The frame just has that classic look and appeal that I would expect from Ritchey. With my build kit of Campagnolo Record 10-speed, custom carbon tubular CX wheels, Crank Brothers 3TI Eggbeaters and a full complement of Ritchey WCS componentry; the bike came in at 16 pounds. 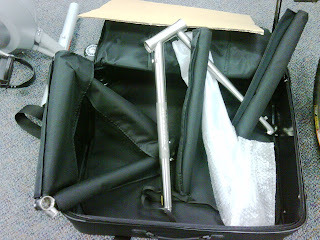 I was very skeptical about how much rigidity the frame would have, given that it splits into 2 halves. I knew from the first time I rode it, that I was wrong. I did not notice any flexing around the BB area when climbing out of the saddle or any twist when putting it through a technical CX course. I wasn’t really surprised at how smooth it was, but the lack of flex was a huge shock. So, this bike is comfortable, yet stiff and splits in two so you can take it with you in your travels. The rear triangle has rack mounts, so you could easily set it up for touring or add some fenders. What more could you ask for? I am not sure; as my only complaint is that they do not offer a hard travel case for it yet. The soft case is still going strong, but I am always nervous when I fly with it. The baggage handlers aren’t known for their respect of passenger luggage. I have been waiting for Ritchey to release a hard case, but I may just end up buying an S&S hard case before I travel next time. Some of you might ask if this could be your “A” race bike. 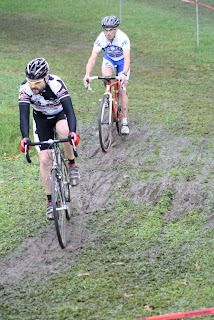 I am here to tell you that I have raced the bike in some local cyclocross races and it rocks! The bike handles awesome. 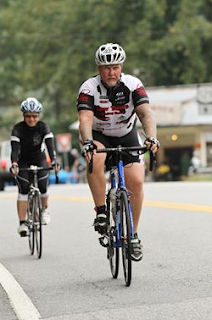 It has never once gotten sketchy on me; whether the course was rough, soft, muddy or even when misjudging a corner. 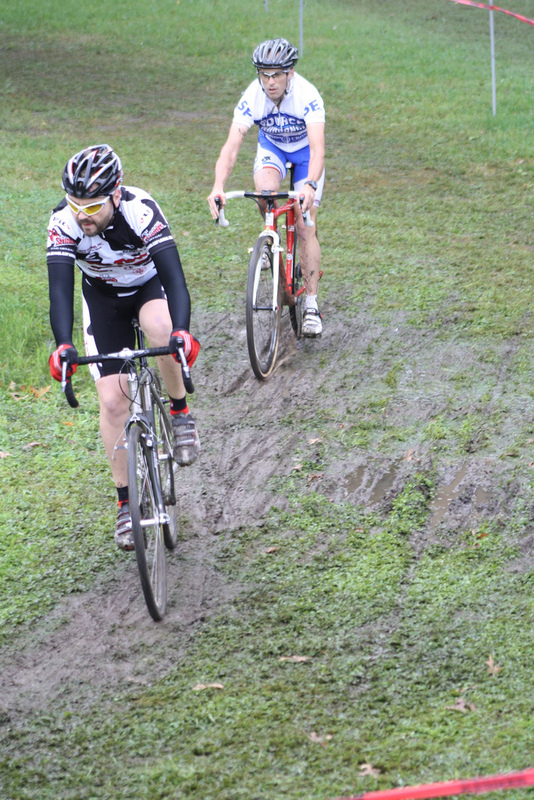 There is plenty of mud clearance, as well. With a race weight of 16 pounds, it is easy to shoulder up the most demanding run-ups. I have never had to tighten any of the fittings after any race. The list of benefits just goes on and on. Wow, I am impressed. 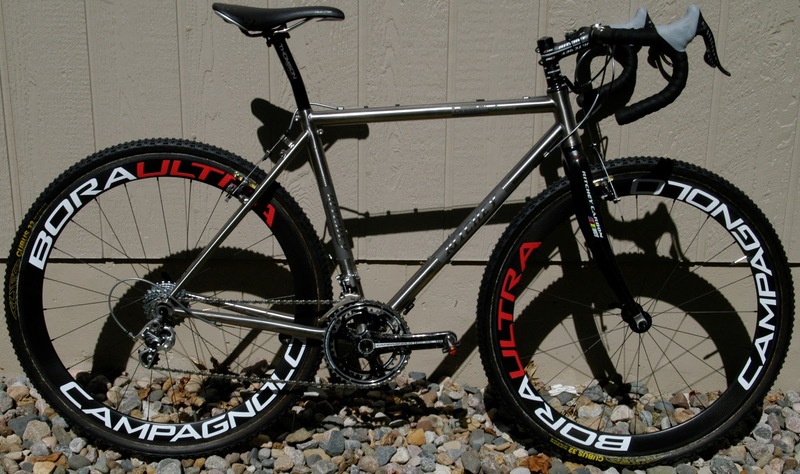 Not only does Ritchey produce some of the best components on the market, they also make an unbelievable cyclocross bike that just happens to double as an airline size travel bike! -Shelter #3 at Wyandotte County Lake Park is the Start/Finish/Registration area. Limited parking is available at shelter #3 with overflow parking along the road leading to shelter #5 & #7. 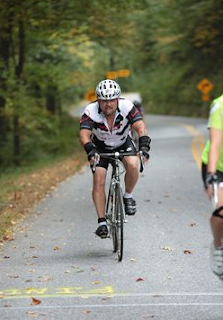 -Online registration is open through 11:59pm, Thursday, October 18, 2012. 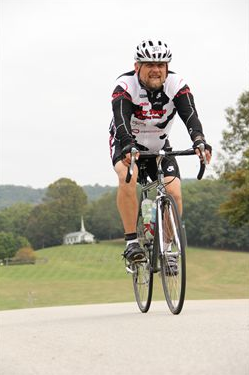 Register at www.usacycling.org. Help us and yourself – register by tonight. 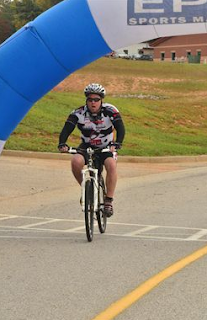 -Raceday registration is available and opens at 3:00 pm. Registration closes at 4:30 pm. -The Wyco’s Sprint event has been reduced to 1 lap (8 miles). No lights are required for the Wyco’s Sprint distance event. 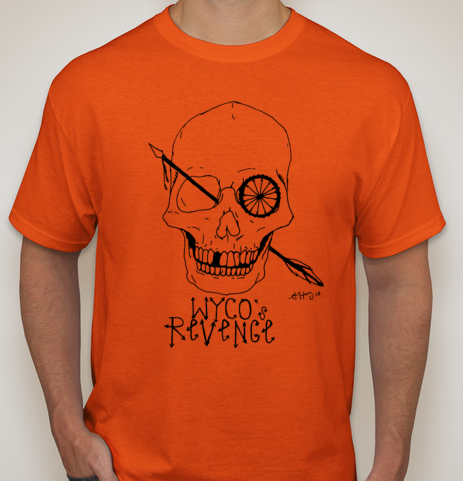 -Complete the full Wyco’s Revenge and earn your finishing shirt. Awards will be presented to the top 3 in the Wyco’s Revenge and Wyco’s Sprint in the following classes: Male, Female, Male Junior, & Female Junior. -Piping hot chili, hot dogs, soft drinks and coffee will be available. Please feel free to bring your favorite dessert or side dish to share. 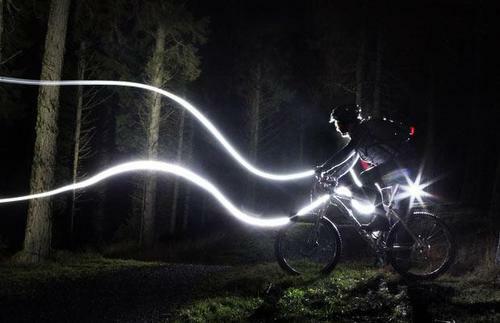 -Charge those lights! The full distance Wyco’s Revenge will require lights. Two light sources are required – primary and secondary. It is advised to begin the event with both light sources. No rider will be allowed to begin the second lap without a light source. -Weather forecast, 68 degree highs with temps reducing to low 50’s quickly once the sun sets. It gets cold at night so be prepared and dress with the proper gear. See you Saturday Night and beware of the Goblins of Wyco! Cow Town Conqueres Georgia Mountains. Congrats to our Florida based Cow Town division for successfully completing the Six Gap Century and Three Gap Fifty events. These rides boasts many of the same roads and mountain climbs as the elite Tour de Georgia race with more that 11,200 feet of climbing. Joey Locke en-route above during the Three Gap. 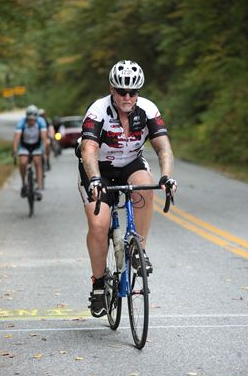 Phil Hart in action above descends one of the many climbs and finishes strong. 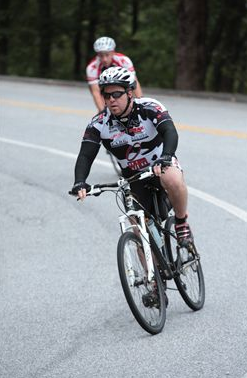 Phil Carter makes his return to cycling with a strong showing during the Three Gap.